The loss of a Heron Unmanned Aerial Vehicle (UAV) of the Indian Navy near Porbandar in March 2018 has taken the count of UAVs losses by the Indian Armed Forces to 14 since the Kargi Conflict. Although the exact reasons for these crashes have not been reported, media quoting officials privy to investigations say pilot error was the most plausible reason, others being technical snags. The pilot error is attributed to terrain and the wind-speed in an area not interpreted properly and the misjudgment leading to the crash. Technical snags in the control system or the UAV itself too can result in crashes. There are technical faults such as failure in the engine, mechanical parts and interruption in the command link that can cause such crashes. Even a pebble on the runway reportedly can cause accidents. 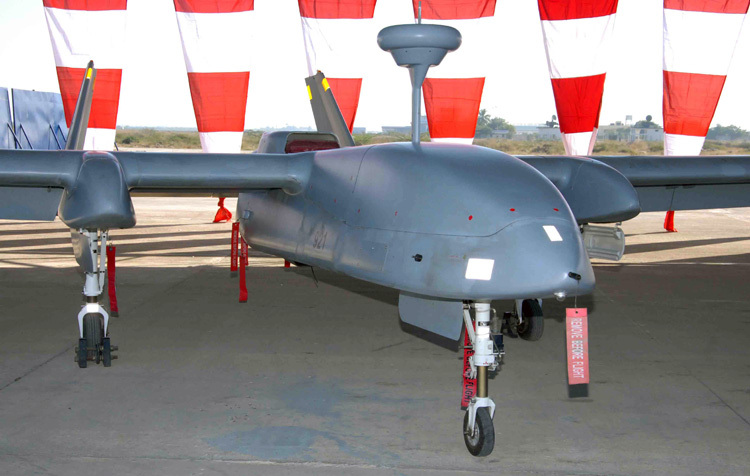 Over the years, the Army and Navy have lost some of their Searcher Mark 2 drones and the IAF too has lost a few UAVs, even as the Armed Forces operate over 100 Israeli-made Searcher and Heron UAVs to monitor the borders, enemy movement and surveillance in the Indian Ocean. In December last year, the Army lost an Israeli-made Heron UAV in Chumbi Valley of Tibet close to the Doklam standoff site, which the Chinese were quick to point at the high altitude where the Heron was operating, commenting that the UAV was probably flying beyond its operating ceiling. However, the possibility of the PLA interfering with the Heron electronically and causing its crash can hardly be ruled out. It may be recalled that in 2011, Iran electronically captured a latest American RQ-171 UAV, forced it to land in Iranian Territory and produced an indigenous version within one year. Drone terrorism and possible use of drone swarm attacks in conflict situations are knocking at our doors but the governmental defence-industry is still struggling with indigenous development of drones. There appears to be little focus on equipping the Indian security sector against such threat. 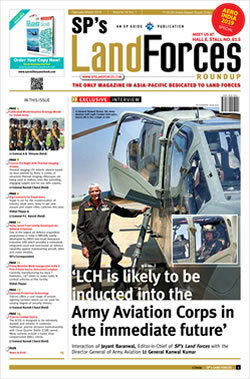 Moreover, there is not much discussion on how to shoot down or capture drones using artificial intelligence electronically and proliferate such technology for defending India at affordable costs and in packages that are man portable or easily deployed in all types of terrain from the most difficult to the plain, forested, high altitude and built-up urban. Prone to terror attacks, India will likely see use of drones given the China-Pakistan anti-India nexus, Islamic terrorists of AQIS, ISIS and the like. If India is at asymmetric disadvantage in terms of sub-conventional and irregular warfare, the same can be said for drone warfare too particularly when it comes to defence against drone attacks. Technologies for miniature swarm drone attacks are on the anvil using artificial intelligence; armed with facial recognition software and enough explosive to kill humans for individual targeting. Drones armed with thermobaric bombs have been used to target ammunition dumps. Where are we in terms of defence against drone attacks? What is the research being done by the DRDO in this aspect and what is the time schedule of productionizing and ‘fielding’ such technologies? We need to take a cue from developments in China. China’s indigenous drone jamming gun, many of which are held by the Wuhan Police can disable a drone more than one km away. On March 11, 2017 during a soccer game in Wuhan, Chinese police used these guns to jam the control signals of drones trespassing close to the stadium, forcing them to land automatically. This weapon is comparable to US jamming rifles, like the Battelle Drone Defender. China is already selling truck-mounted laser cannons: the Low Altitude Guard and the higher powered Silent Hunter. The ‘Silent Hunter’ uses a laser to attack ground and air targets up to 4 km, and at closer range is powerful enough to threaten lightly armored vehicles. China used the Silent Hunter to protect the September 2016 G20 summit in Hangzhou, Zhejiang province. Considering that future autonomous drones will upgrade protection against jamming, it is imperative to equip defenders with hard kill systems like the ‘Silent Hunter’. In November 2017, China installed a detection and defenee system against UAVs at Guangzhou Baiyun International Airport. Named ‘Cangqin’ system, it can monitor low-altitude airspace eight km in diameter, and can locate a drone three seconds after it becomes operative. Once a drone is detected, information related to its position, model, and real-time coordinates is sent to the monitoring center. The interference system immediately forces the drone to touch down or fly back by scrambling its remote-controlling signals. In September 2015, DRDO's Laser Science & Tech Centre (LASTEC) commenced testing ‘ADITYA’ - a vehicle mounted gas 25-kilowatt laser-based directed energy weapon (DEW) that aims to hit an incoming missile in terminal phase at a distance of 5-7 km, however, there gas been no news after that. ‘Aditya’ is only a ‘technology demonstrator’, implying production and fielding is still years away. In 2008, LASTEC developed two variants of the short-range ‘Laser Dazzlers’ (PLD) especially suited for counter-insurgency (CI) and counter-terrorist (CT)operations. The hand-held and squad weapon mounted versions of of PLD have maximum operation ranges of 50m and 500m respectively. Both variants are completely non-lethal and wrre reportedly tested successfully under simulated conditions. So, why are the police and the central armed police forces (CAPF) not equipped with the Laser Dazzlers in CI-CT environment. Isn’t it a shame that two CRPF personnel were stoned to death and three seriously injured in Srinagar during April this year? Why are Laser Dazzlers not used in lieu / in conjunction pellet guns, or is the DRDO claim of these being non-lethal false? Getting back to the drone threat, clearly we are lagging years behind and simply relying on the DRDO and its time-schedules spanning decades, which too are never honoured, is not going to suffice. Countries are working fulltime in researching and developing defence against drones and their offensive use. We can be rest assured that China will transfer all such technologies to Pakistan, if not already done. The government must focus on developing such technologies in conjunction the private industry and strategic partnerships with time-bound deployment schedule catering for such threats in holistic manner. We simply cannot wait to wake up after being hit by robotic attacks.